I love it all, for the most part, and I don't give myself too hard of a time, either. But the body knows. In fact, the body tells me just what it wants when I've overindulged, and it is almost always a gorgeous green bunch of kale. So after said week of cookie madness, this is what I spent my Friday night eating. Watching Mad Men, enjoying the twinkle lights, and curling up with my big bowl of kale and barley. I like to think I was eating kale before it was mainstream. In the last year, kale was everywhere. Raw kale salads, braised kale, kale pesto, kale smoothies. Anyone reading food blogs or gourmet magazines would have noticed the trend. But way back in 2009, Bon Appetit published a recipe for kale chips and ever since, I've found many creative ways to use it in my cooking. There's nothing fancy or complicated about this salad. It's just the basics: kale, lemon, and parmesan, but sometimes that's exactly what you need. 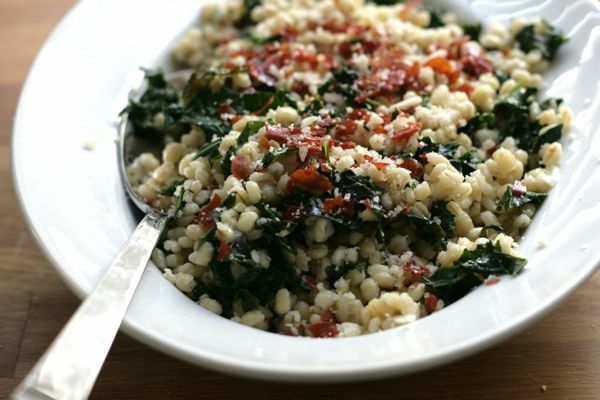 Also, a little crumble of crisp prosciutto is the perfect, salty surprise. The next morning, use leftovers to make a healthy brunch hash with fried eggs. 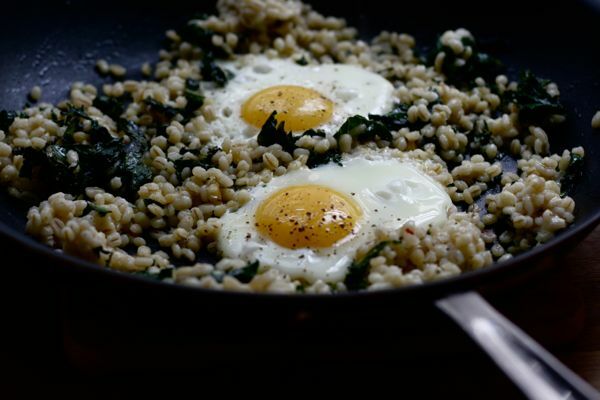 While the barley cooks, prepare the kale. In a large sauté pan, heat up a turn of extra-virgin olive oil over low heat. Add a pinch of crushed red pepper flakes and the garlic. Remove the kale leaves from their stem and chop into small pieces; add to the pot. Season with salt. Cook until wilted and slightly charred, about 5 to 7 minutes. Pour kale into the pot with barley and stir to combine. 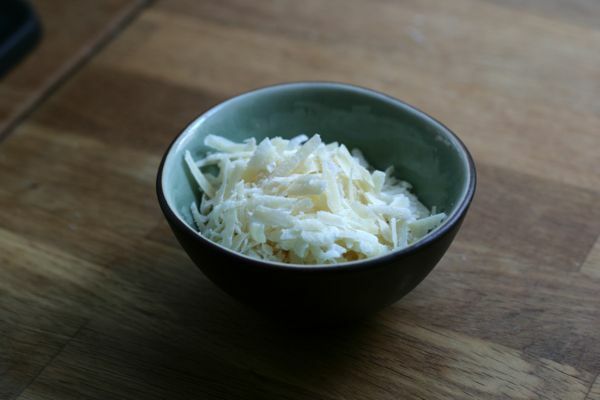 Add most of the cheese (reserve a sprinkle to garnish each bowl), lemon zest and a squeeze of lemon juice. Taste for seasonings and add more lemon and salt, if needed. Serve warm with extra cheese. If using prosciutto, lay slices on a silpat and bake at 350 for 12-15 minutes, until darker in color and slightly crisp. They will finish crisping as they cool. Crumble over the salad before serving.